Discussion in 'Hunting Videos' started by AfricaHunting.com, Aug 3, 2009. Steel Candy, geoff rath, vipul and 3 others like this. Wow! Where did this take place? It's a shame the PH had to put that animal down. Probably wasn't the one the hunters were after. This is from the "Death by Double Rifle" video. Apparently judged a unavoidable shooting by the accompanying game scout and the cow did not count against the license. geoff rath, sgt_zim, Witold KrzyÅ¼anowski and 1 other person like this. Was a very good shot. I don't think Momma jumbo was going to give these guys a kiss if she got there. Happy ending, the elephant didn't count against the license, the locals probably got a lot of meat they didnt expect and everyone went home with all their arms and legs. I have heard interviews with people that have survived Leopard, Cape Buffalo and other dangerous animal but have never heard an interview of someone who survived an attack by an elephant. I was watching a video and heard someone say that and wondered if anyone here had ever heard of a survivor. Great bloody shot! I only heard one single round fired. I've seen other videos that took two or three rounds to bring elle to the ground. Ha Ha, clean pair of shorts anyone........anyone? Hey where'd everybody go? geoff rath, sgt_zim and Rob404 like this. Very good shot and a happy ending. I'm looking forward to the day that I can hunt ele. geoff rath, DavidC, siml and 1 other person like this. 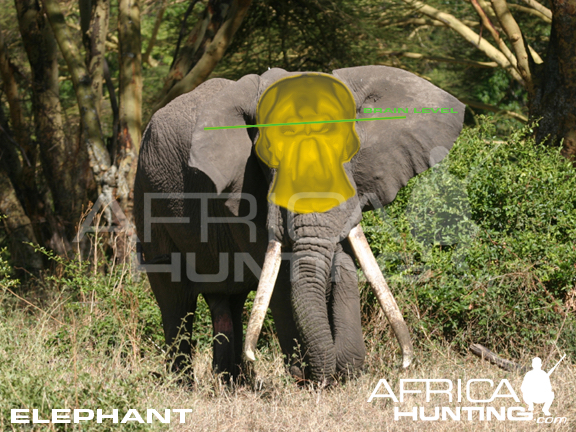 I hope I have the funds one day to hunt jumbo also. Glad he didn't have to use his license. 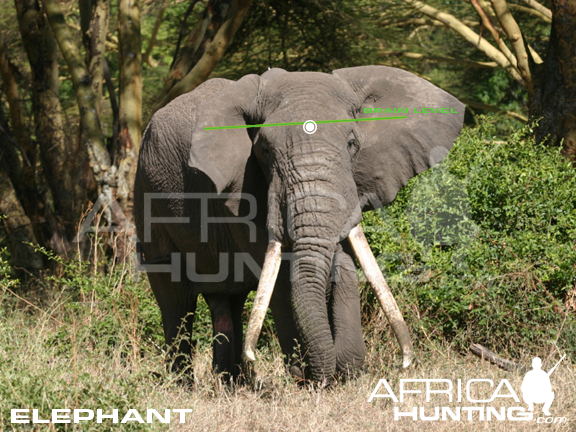 Looks like the day to Hunt elephant just got a lot closer! Does anyone know of a survivor of an Elephant attack where the animal got into the hunters etc. ????? Steel Candy, geoff rath, rinehart0050 and 2 others like this. Brickburn what where those guys doing? Were they practicing aiming? He looked like a nice Bull, I would have pulled the trigger! Charlie, if you did not recognize the guy on the left it was IvanCarter. That is exactly what they were doing: Practicing approaches and aiming. You can see that Ivan never stops talking. He also only raises his rifle once to show the Elephant the barrel at the height of the Bulls eyes once. Lens compression has them looking closer than they are but they are close enough for that tree to almost hit them. Steel Candy, geoff rath and DBateman like this. By following his hand gestures you can accurately interpret that he is explaining the only constant on a pivoting Elephant head which would be to connect the zygomatic arches.... (Imaginary line) which provides a constant Reference for point of aim no matter how the head tilts up or downwards. geoff rath, larry4831 and DBateman like this. Jaco can you estimate please the length of that elephants tusks? Are they 30 pounders? I am trying to learn to judge. I understand that it's roughly length times inches around equals weight. So I'm thinking three feet exposed by 10 inches around maybe 36 pounds?